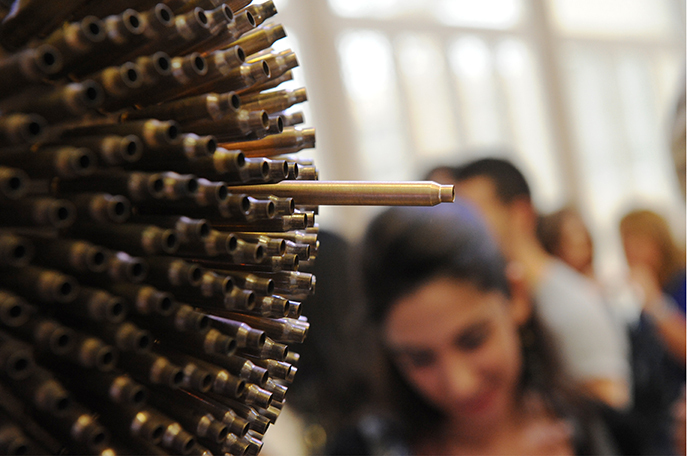 The platform, conceived by Cherine Magrabi, brings diversely versed local designers and visual artists together with a network of Lebanese traditional craftsmen and craftswomen to forge a dialogue between art, craft and design. The commission was originally limited to the overarching theme for the first event, but the collaboration quickly turned into a much more comprehensive mission. 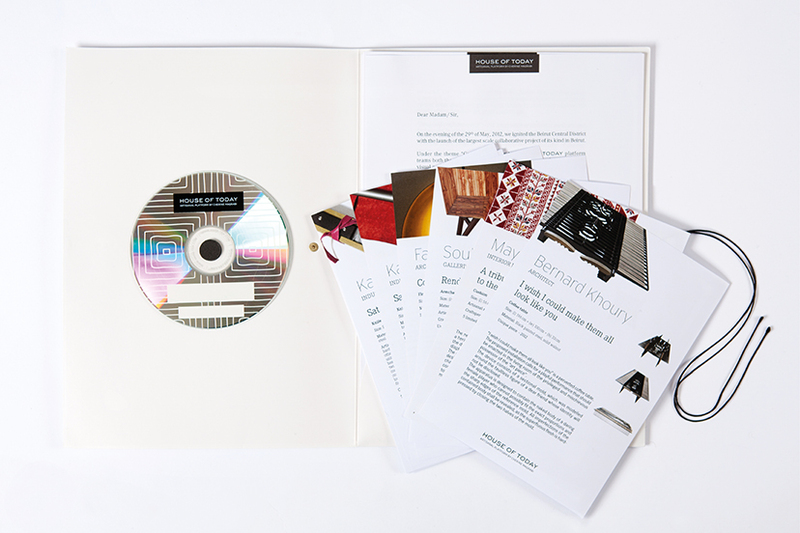 The full-on orchestration of the project included the negotiation of both the platform and the event’s identities, the planning of the necessary communication material, the design of all applications for print, screen and space, and the development of the literature and all related content from the call for designers to correspondence with the press. 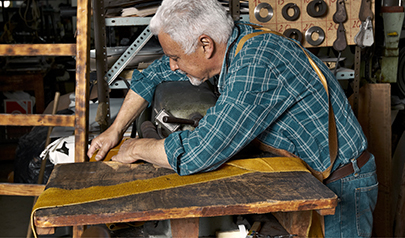 It was important that the complex nature of the operation – comprising an artisans’ support initiative, a high-profile design exhibition as well as a niche retail component – be bracketed within a unified visual and verbal lexicon, sophisticated in its details and with the kind of purity that allows intricately produced objects to freely take center stage. The House of Today look is easy on color and big on detail. 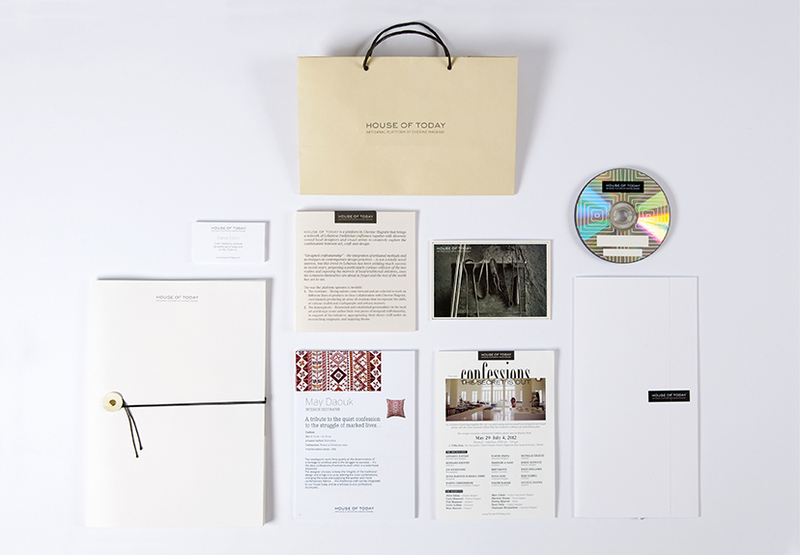 A very careful kit was prepared for journalists and media representatives which includes a presentation of the House of Today platform and a detailed description of the exhibited pieces in the first Confessions show. 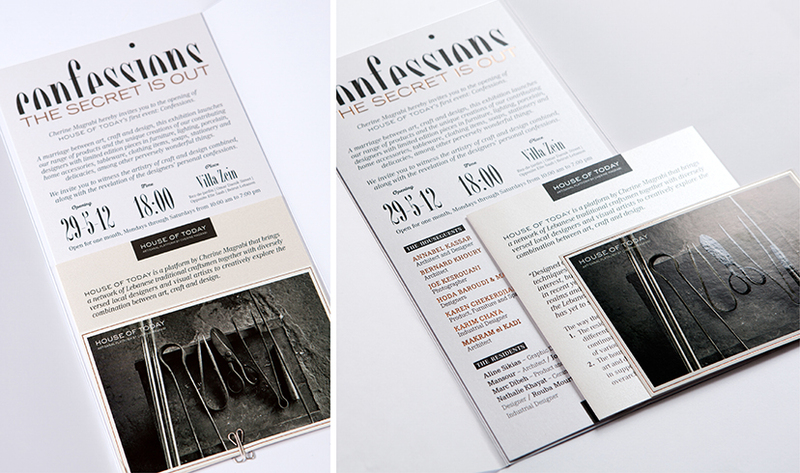 The invitation card for the Confessions show has its custom-made envelope, expressing the level of finesse from the first encounter. 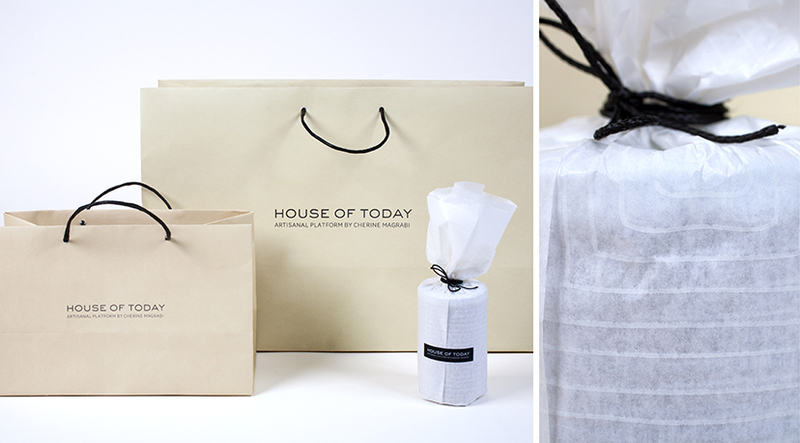 House of Today retail amenities follow the color-scarce and detail-driven identity. 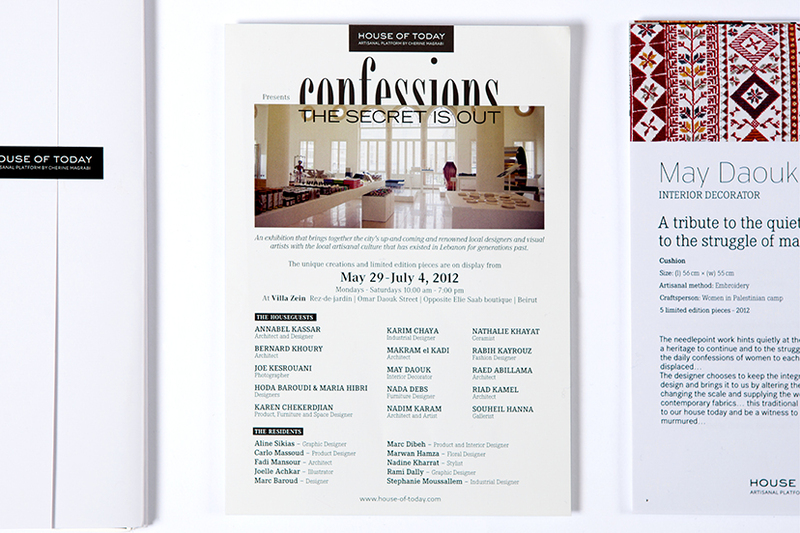 After the Confessions show, the website becomes the main portal for learning about and purchasing the exhibited pieces. 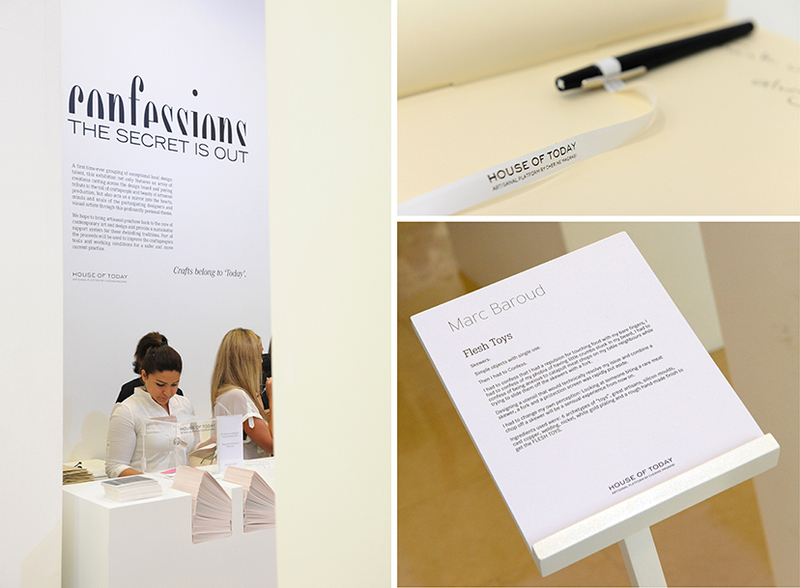 During the Confessions show, the visitor is informed at length and is also given the chance to talk back.